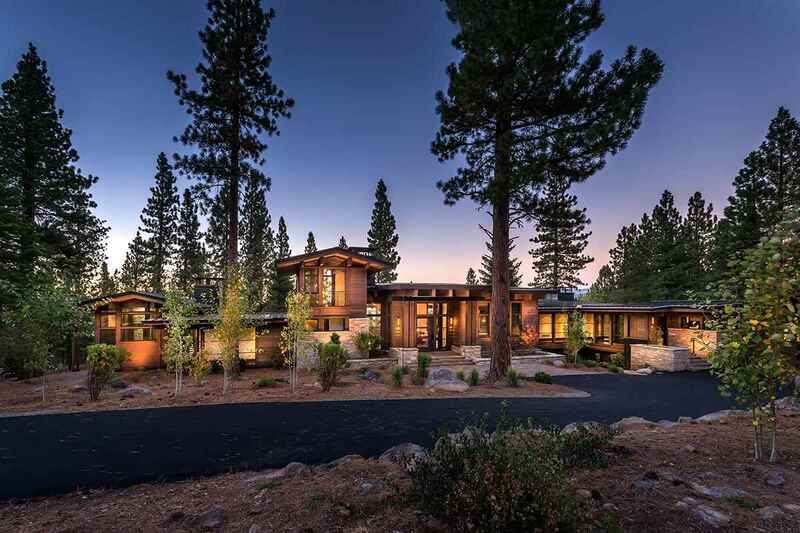 Perched on a beautiful 1.7 acre site with panoramic views of the Martis Valley, this dramatic mountain estate begs retreat and fun. The great room with pocketing doors opens to an expansive deck with seating and covered dining. Two bedroom suites on the main level offer privacy and retreat from the main hub of the home. On the lower level is a media room, bar, wine room and 3 bedroom suites, one a bunk room. The walk out terrace offers firepit seating, spa deck and an exercise room separate from the home.